Is your inventory too big for its britches? And by britches, we mean the tiny warehouse, storage unit or hall closet where you're keeping your inventory. 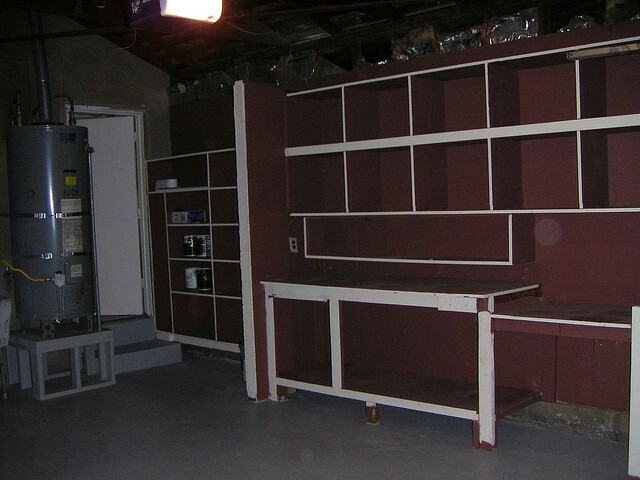 You need a storage makeover and the sooner, the better. When it's not in your budget to rent a bigger space, these space-saving ideas will prevent you from tripping on twelve boxes on your way to the back shelf. 1. Move up: We don't mean upgrading to a bigger space—we mean using all of the vertical space you can to store and organize your inventory. Adding shelving to expand vertically could double or triple your useable storage space without adding a square foot to your monthly bills. 2. Use the whole shelf: Almost any shelving unit these days is customizable, so take advantage and be sure you're not leaving half a shelf empty (horizontally or vertically). If possible, give your fastest-moving products an easily accessible spot in the warehouse (for stocking and deliveries), where you won't have a road block of boxes waiting to be unpacked. A full assessment of your layout and the sizes of your products and boxes will be invaluable to mapping out the most efficient storage. 3. Out-of-season, out-of-mind: If a chunk of your merchandise is seasonal, move that to the least accessible place in your warehouse during the off-season (like those super high shelves you just put in!). If you're working with a very small space, consider renting a small external storage unit where you can keep the holiday merchandise or the summer pool floats out of your way during the rest of the year. Just remember to set a calendar reminder so you don't forget to haul everything out when the time comes. 4. Find a buddy: Not ready to upgrade into a bigger warehouse space? Try sharing with another business nearby. 5. Say goodbye to excess inventory: We've shared a few ideas on dealing with excess inventory in the past, but the important part is getting it out of your space to make room for inventory that moves. And hey, that's why Shopventory exists—to prevent excess inventory and help you better manage what you do have on hand. Any other great inventory storage solutions to share? Let us know in the comments! We know that many of you run your businesses from your homes. However, as square foot after square foot of the garage/basement/dining room becomes cluttered with inventory and business necessities, your personal space shrinks.Here are a few tips to effectively store your small business inventory at home—and out of your family's way! 1. Keep your inventory safe. Get proper insurance and permits. Store inventory in a cool, dry location free that isn't heavily trafficked by kids, pets, leaky faucets, unattended candles and whatnot. 2. Keep your inventory secure. Install a security system and use heavy duty locks for merchandise, especially for inventory kept in a garage or shed. Keep significantly valuable items in a safe. 3. Separate inventory from your office and your personal space. Keep inventory in its proper place. Maintain boundaries rather than letting business clutter take over your home office and living space. When tax time comes, you also want to be able to take advantage of small business deductions and that means your storage and office space should be fully separate from your personal space. 4. Consider off-site storage options for certain items. 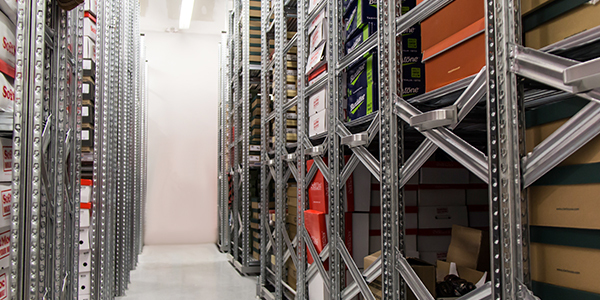 Off-site storage units are great for seasonal products, slow-moving inventory and other items and paperwork that you don't need to access very often. As your business grows, you may need to free up valuable space in your home, but can't quite make the transition to a warehouse yet. Look for nearby self-storage units with easy load-in and load-out capabilities. One that can accept deliveries on your behalf is even better! How do you manage your inventory storage at home?